Huey Lewis & the News had pretty much written the soundtrack to fun pop rock in the 1980’s before we even got to 1988. Still to this day you can’t watch Back to the Future or have a party without some form of Huey Lewis singalong. When it came to Small World though the band changed tack for some reason. Don’t get me wrong, I enjoyed Small World in the main, but I felt a little cheated by the time the record ended. 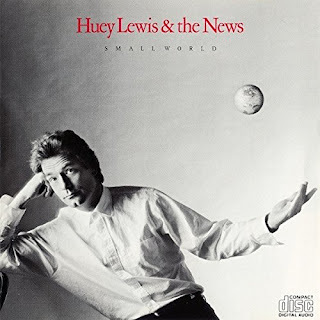 I guess what I mean is that Small World is where we see Huey Lewis & the News as grownups, there are songs about the environment, songs about living peacefully together, a world in harmony if you like. The problem is I had become used to the fun Huey Lewis stuff, the catchy tunes that brightened up your day whenever they came onto the radio. None of this is the band's fault of course, they have a right to produce whatever kind of music they want to, and I am normally the first to moan if, after some sustained success, a band doesn’t try and grow as an artistic force, perhaps take a risk or two to show their audience what they are really about, I just never wanted it to be this band. Small World pt1 is a great listen if you are oblivious to what had come before. The title track with its very 80’s sounding piano is not a bad opening track, Old Antone’s is probably as close to the Huey Lewis sound that I was accustomed to as you’ll get without listening to another album and I would imagine the track was great live, but its no Hip to be Square. Perfect World with its great brass intro lifts your soul for a moment but then the song disappears up its own pretentious arse, it just doesn’t know what it wants to be. I know most fans hold this song up as the best on the album, I just can’t believe so many people have the wrong opinion. Bobo Tempo I really enjoyed, who doesn’t love a summery reggae feel? Small World pt2 is, what’s the word? 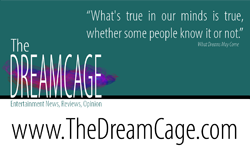 ‘Experimental jazz gone wrong’ bad? Yep, that’ll do it. Moving on then… Walking with The Kid was pleasant enough, a bit catchy, very generic 80’s though, literally anyone in that decade could have released this song as their own and you’d have known no differently. World to Me is pleasant enough, Better Be True seems a bit phoned in if I’m honest. Give Me the Keys (And I’ll Drive You Crazy) is not liked by many fans but is quite honestly the only reason to buy Small World. Slammin’ brings to a close a good listen but largely forgettable album in possibly the only way it could, trying to recapture what Huey Lewis and The News had done before but ultimately failing. Unless you’re a completist there is no reason to buy Small World and I know I’ve sounded quite harsh above, but I did enjoy listening to it, then I forgot it and went back to The Power of Love instead.